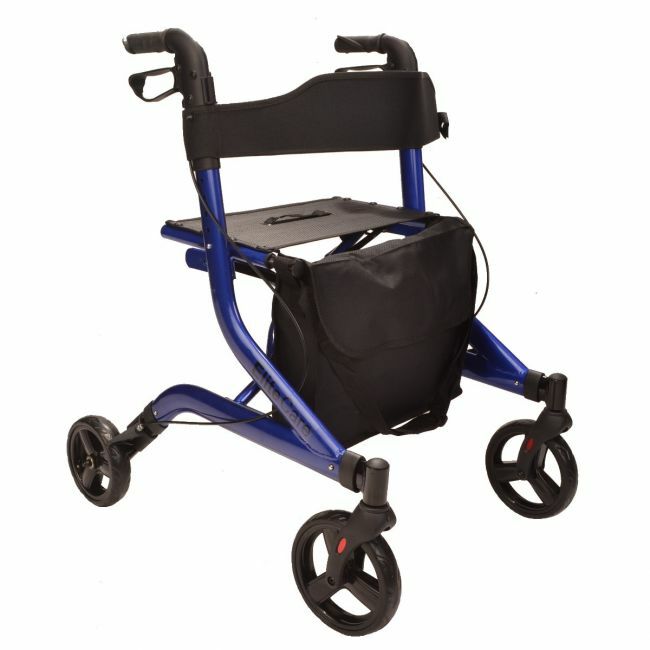 Enjoy the peace of mind of a folding rollator suitable for indoor and outdoor surfaces. This Elite Care X Fold lightweight folding rollator is the ideal companion for travelling in comfort. The frame folds without the need to remove parts, and when the user decides to stop and rest, the parking brake, seat, and backrest provide a convenient and stable chair.